I’m sure most of us have owned a car that’s left us at our wits’ end. The kind of car that just throws up problem after problem, until you completely fall out of love with it and would happily roll it off a cliff. 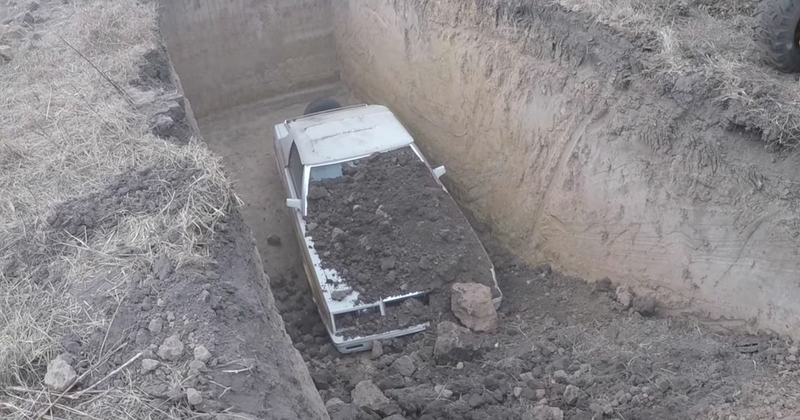 But did you ever think about burying a troublesome car alive? Tyler Hoover did just that, but then I suppose we shouldn’t be surprised - we are talking about the man who thought it would be a great idea to buy a $7500 BMW 850i. The car in question is a 1983 Chrysler Lebaron (yes, the one with the talking dashboard) exhibiting terminal rust. It’s too much of a basket case to fix up or even give away, so naturally the solution was to bury it. A process which looks weirdly therapeutic.